A simple and easy DIY Wreath Tutorial good for Christmas or any season! I’ve been so wrapped up in functional DIYing that I haven't had time to do any fun, cute, crafty DIYing. I love cute crafty decor just as much as the next DIYing, crafty person. So today all that changes. Actually, it changes for the next couple weeks. Because I have teamed up with an awesome group of other DIYing and crafting content creators like myself and we are going to help you get your Christmas decor life all the way together. Straight into the merry holiday season. The DIY Christmas Blog Hop is made up of 26 awesome bloggers sharing all of the awesome holiday projects we work up. This week we are focusing on Door Decor. Today, I have a simple, easy DIY Burlap Wreath tutorial for you. 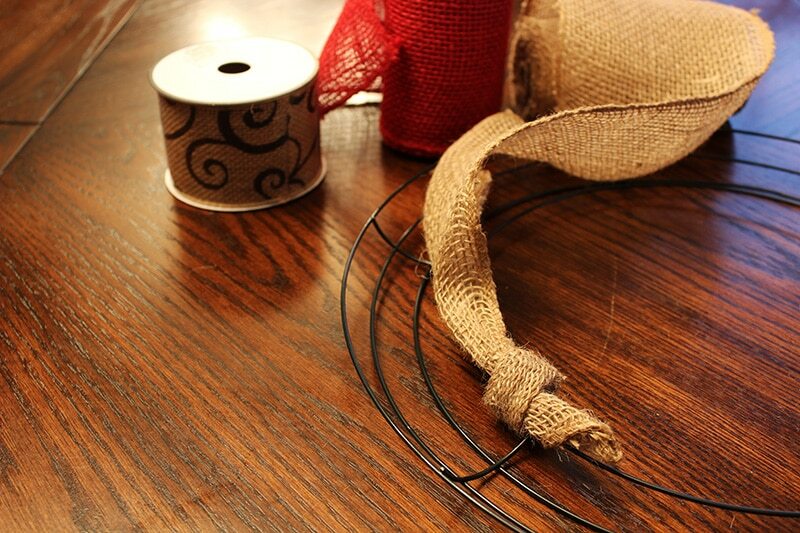 All you need is some burlap, a wire wreath form, a little over an hour. If you’re feeling festive, a beverage of your choosing. Mine is spiked eggnog. Which reminds me I need to see if the shelves are lined with nog yet. 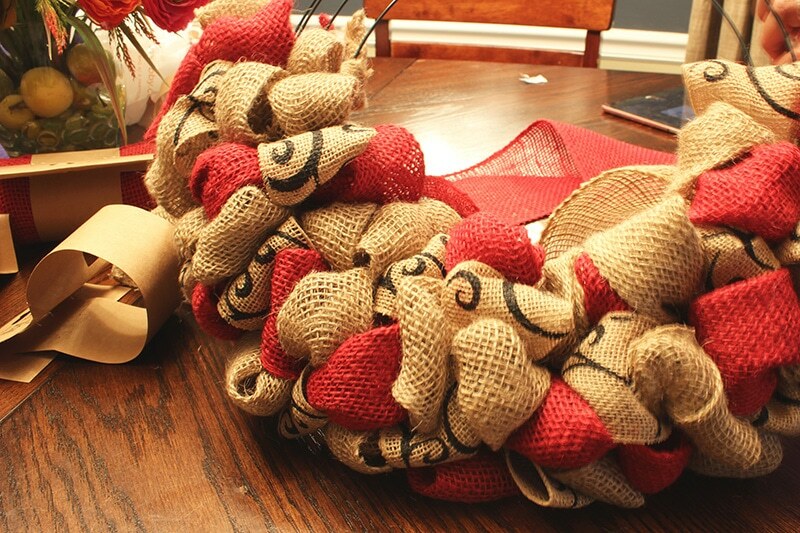 Take the end of your first burlap and tie a knot from under the wreath form. If you are doing more than one color, do this for each one. All on different rows. 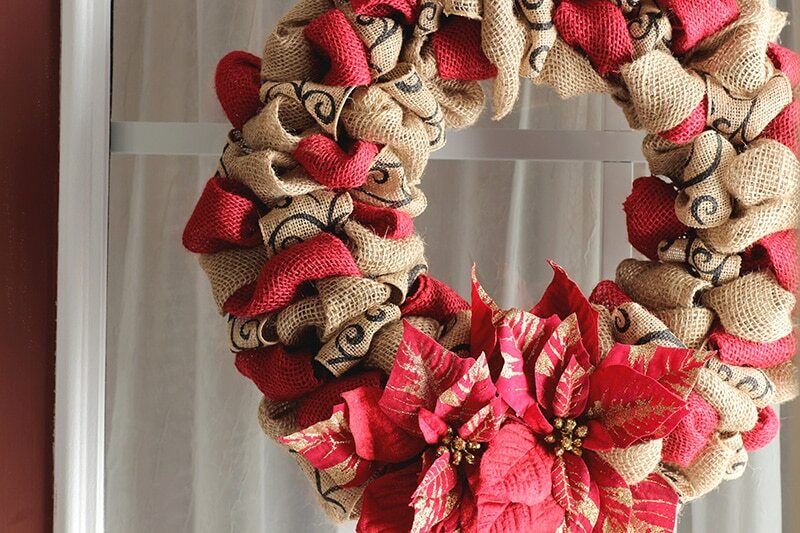 Fold the burlap down the middle and pull through wreath form. Twist burlap once and repeat. If using more than one color alternate between colors in a pattern you love. Repeat until you reach the near end of the burlap. With enough to tie, tie end into a knot in the same fashion as beginning to the wreath form. 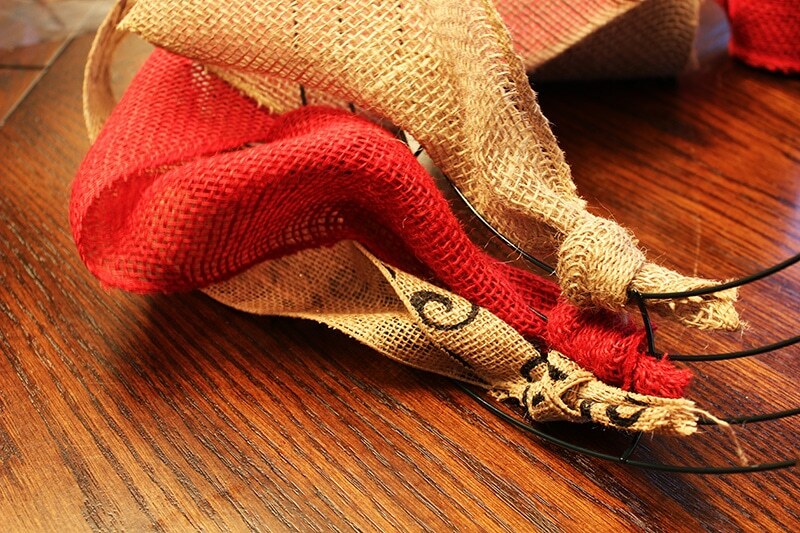 Start new string of burlap in the same fashion and continue until wreath form is filled. And that’s it friends. You just made a whole wreath in 5 easy steps! 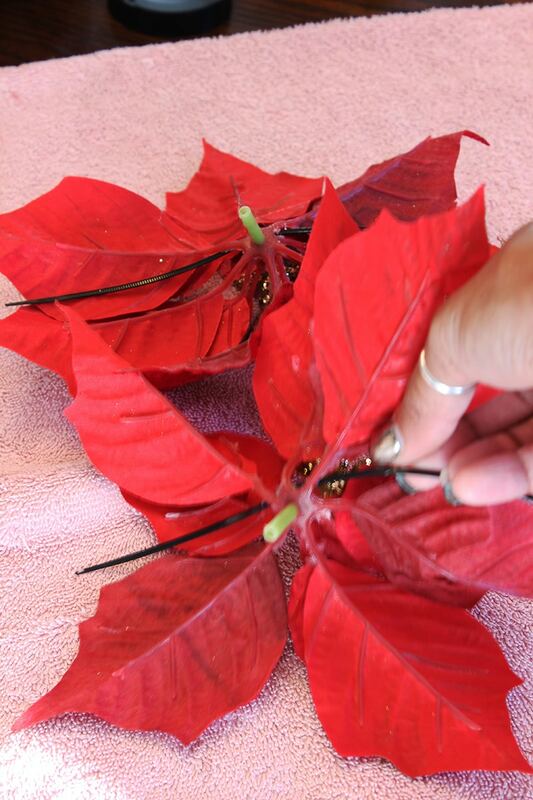 If you feel fancy and want to add a flower you can add flowers to your wreath using pipe cleaners or zip ties. A simple and easy DIY burlap wreath tutorial that can be used for the christmas holiday or any time of year. Just change the colors to fit the season. 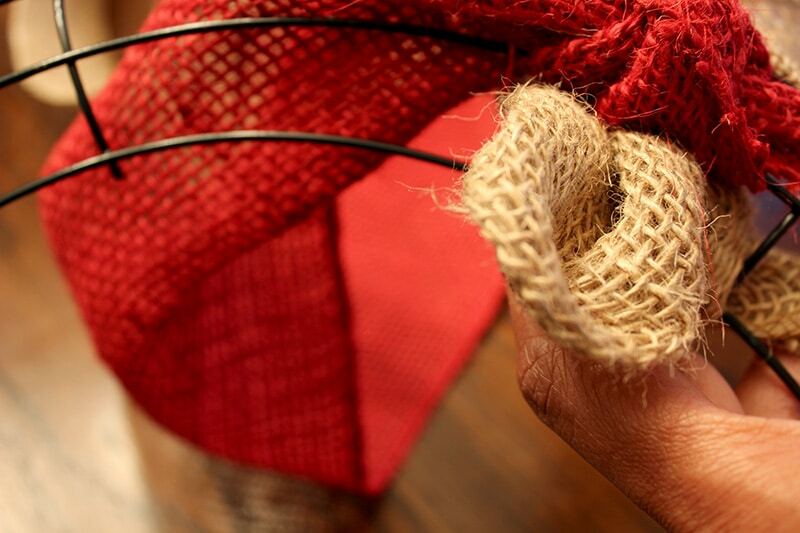 Take the end of your first burlap and tie a knot from under the wreath form. If you are doing more than one color, do this for each one. All on different rows. I bought two of each color of the ribbon and burlap. I used all of the natural and had some left over from the other two. Want more Christmas holiday decor inspo? You got it! Here are other decor posts to get you more than inspired. Next week, we will be sharing some cool woodworking projects. Tune in next Sunday to see what we come up with next! Save and or share this DIY Burlap Wreath Tutorial using the share buttons below. Love how it turned out – beautiful!! Ooh, I love the look of having three different shades/patterns in your wreath. 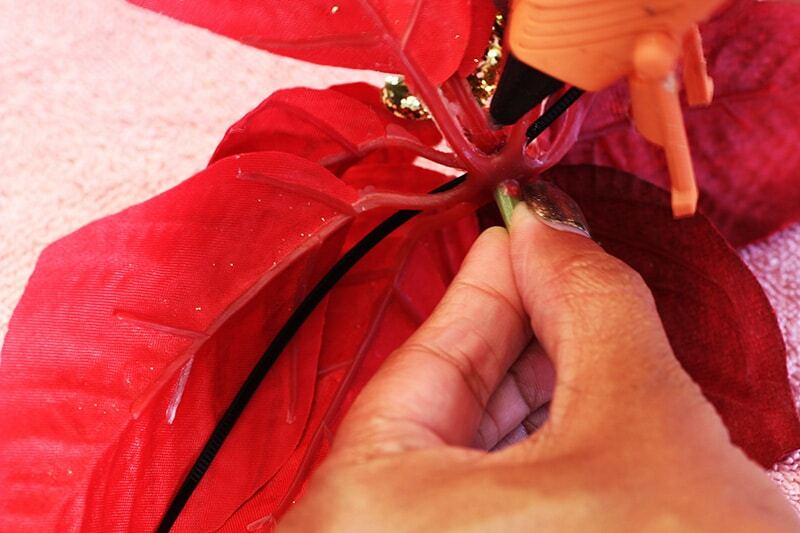 Adding the poinsettia for another pop of red is perfect. I wasn’t sure about the poinsettia but then once I added it I love it! Glad you agree! Thank you! Super pretty! I really like how you incorporated that burlap. Your’e right, that’s nice for any season- ties a bit of rustic love in there. Great wreath! I made these for the first time this fall. My first one was a complete burlap one that I can switch the flowers out on all year round!! Oh my goodness I just want to squish your wreath, it’s so full and gorgeous!!!!!!!!!!!!! HA! not squish it… LOL. Thanks Lidia! Oh, I love this! I love that it is a bit untraditional without being too far outside the box. AND I already have many of those supplies on hand! I think I may need to whip one up for myself. 😉 Thanks for sharing! What a beautiful wreath, I have a plain burlap one I made years ago that I still try to update every year. I really like how you used 3 different types of ribbon, it adds such nice depth and color. Thanks Sarah! The first one I did was straight burlap and then i was feeling a little froggy and thought i’d take a stab at using more color. I love how it turned out! Looks great! I love using burlap in projects, its so versitale! It is!!! It is my favorite. It goes with anything and works for any season really! Thanks, Jessica for topping by! 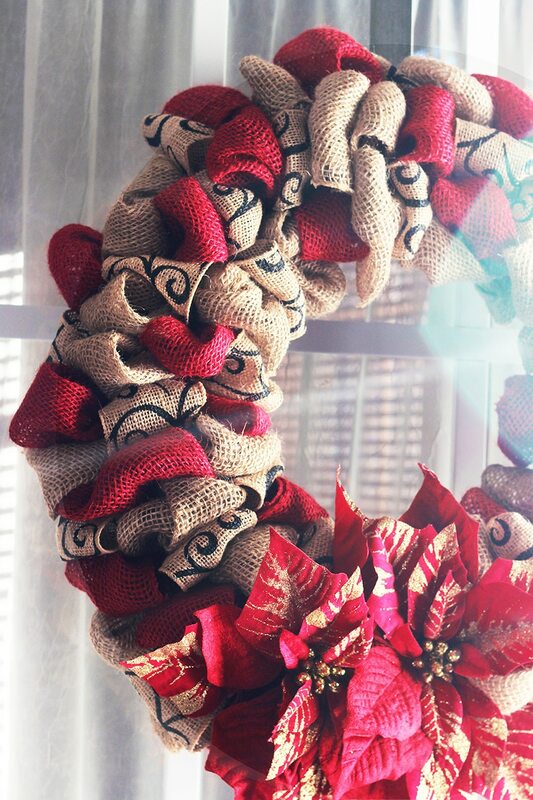 Burlap wreaths are my favorite! I’m loving these colors together, it looks great! Thanks, Stephanie! me too burlap is so awesome to me! Kenya, this is so beautiful! 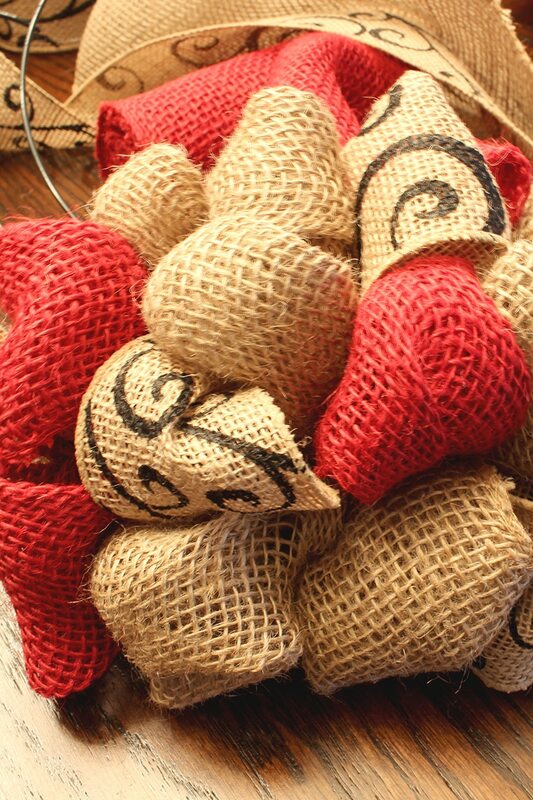 I love the burlap and the red, it’s perfect! 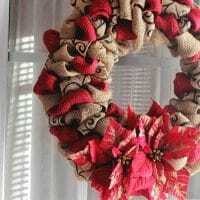 I have always love the look of burlaps wreaths like this one, but always too intimidated to try to make one myself! Your tutorial has me wanting to give it a try! DO IT!!! you wont regret it! Amy it is sooooo easy! I want to put together a video to show a little more detail. These kind of wreaths have always scared me so much but I love them! Great job!!! OMG! me too and it was so easy, I am glad I got over it, now I been making all the wreaths.